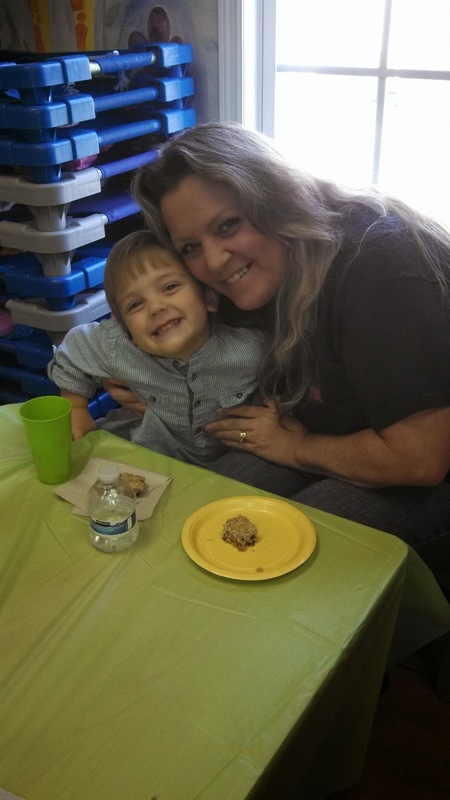 This is one of our favorite weeks at Sunflower Station! 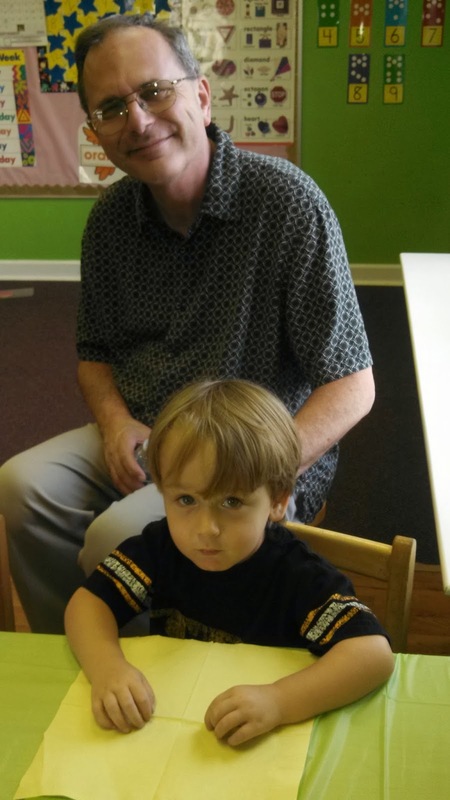 We spend the entire week learning about butterflies, from their life cycle, their body parts, how they live, etc. 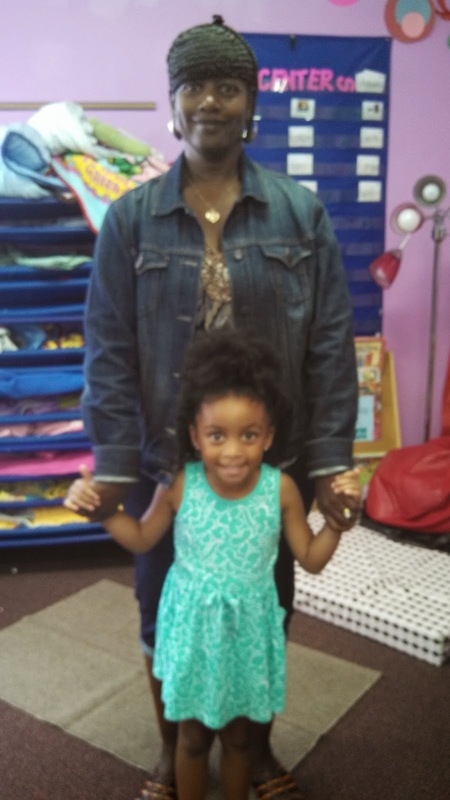 Then, at the end of the week, we get LIVE caterpillars in all of our classrooms so that we get to watch the life cycle and have our own butterflies at our school! 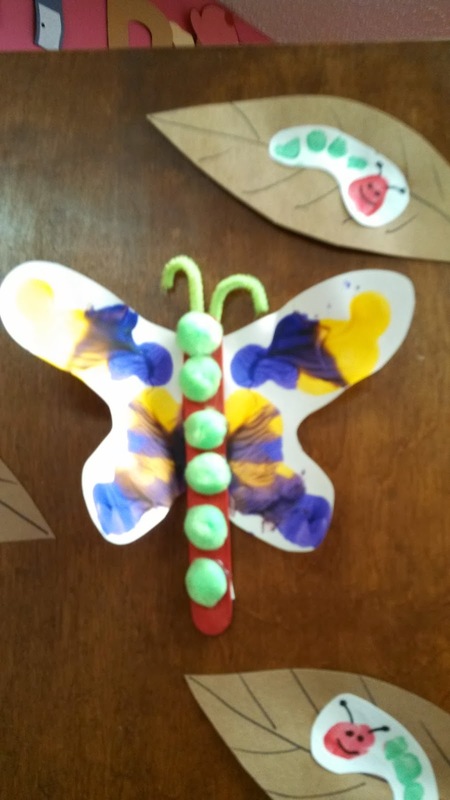 The other wonderful part about butterflies is their beauty and all the neat art projects we can make! 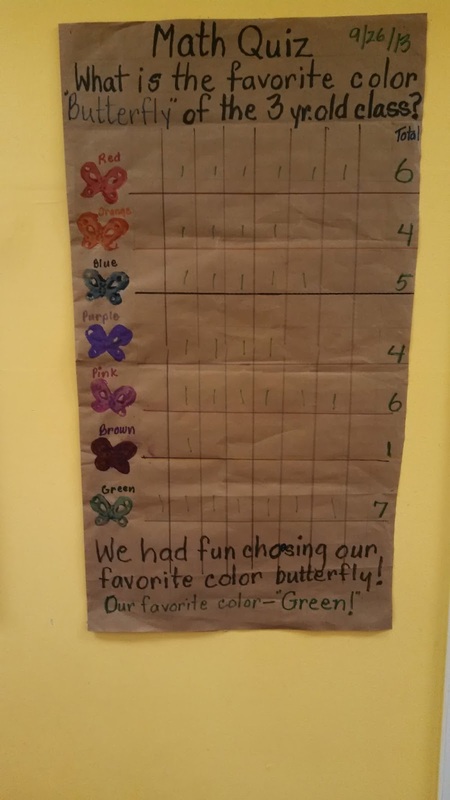 As a Math activity, the 3 year old class made a graph to show their votes on their favorite color of butterfly! This week is also a great time to talk about symmetry! Butterflies don't get all of our attention though! We've enjoyed learning about caterpillars too! 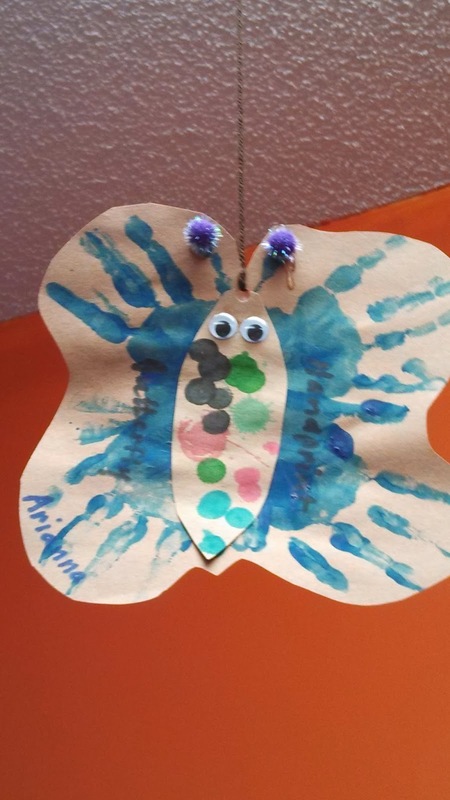 Eric Carle's book, "The Very Hungry Caterpillar" is one of our favorites! 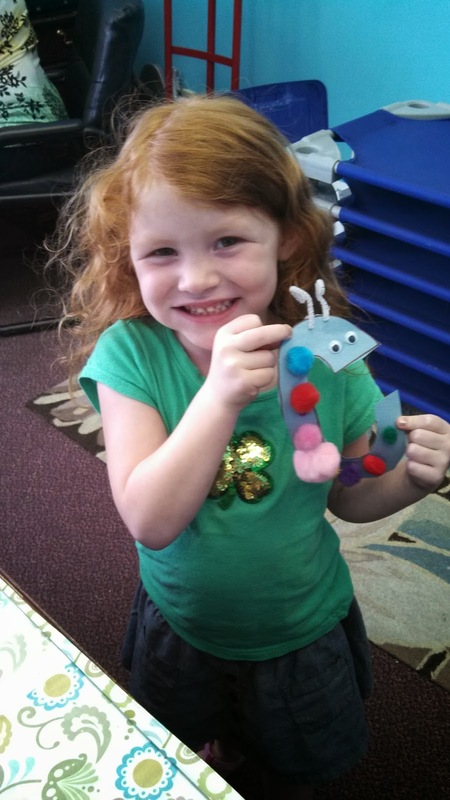 Some of the classrooms talked about patterns as they made caterpillars in their rooms. 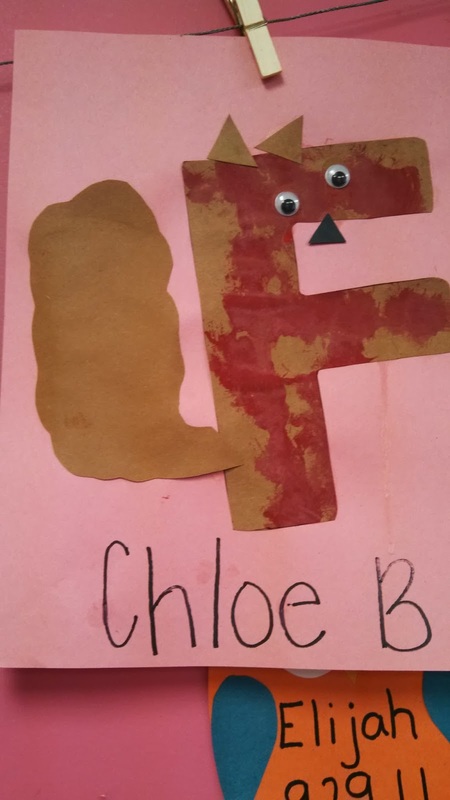 Our letter of the week is "F" so the children made "F is for Fox" and enjoyed the Fruit Dip they made for their cooking project! We have started watching our caterpillars become beautiful butterflies! 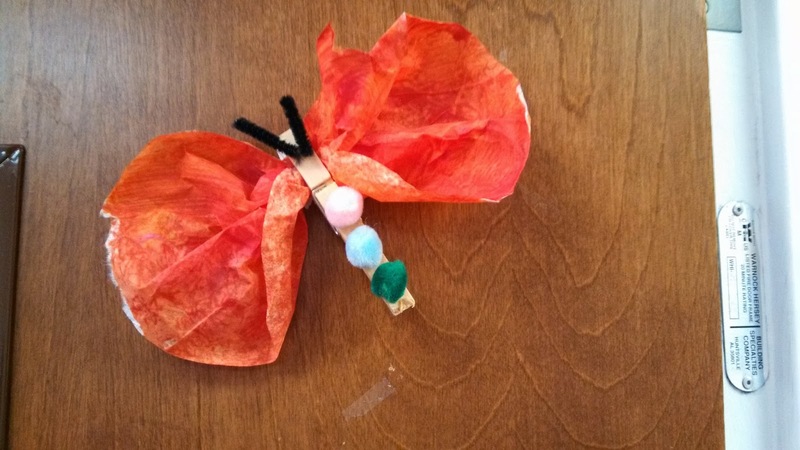 Stay tuned for a special post on releasing our butterflies! 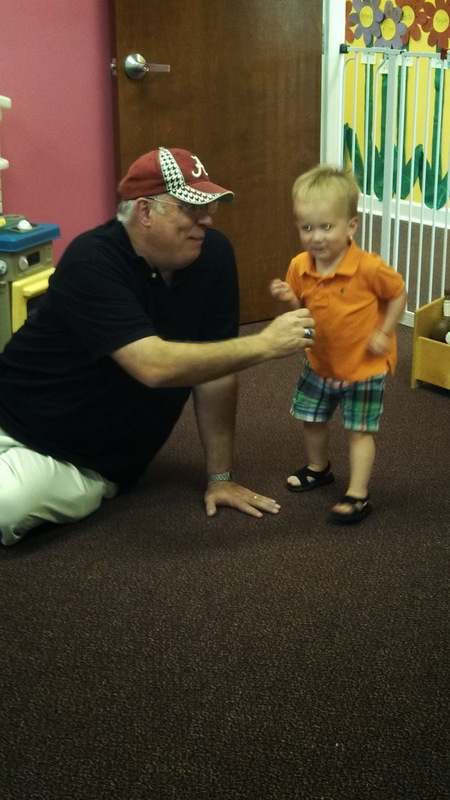 It's important for us to learn about our body, from our different body parts even to our feelings and senses! 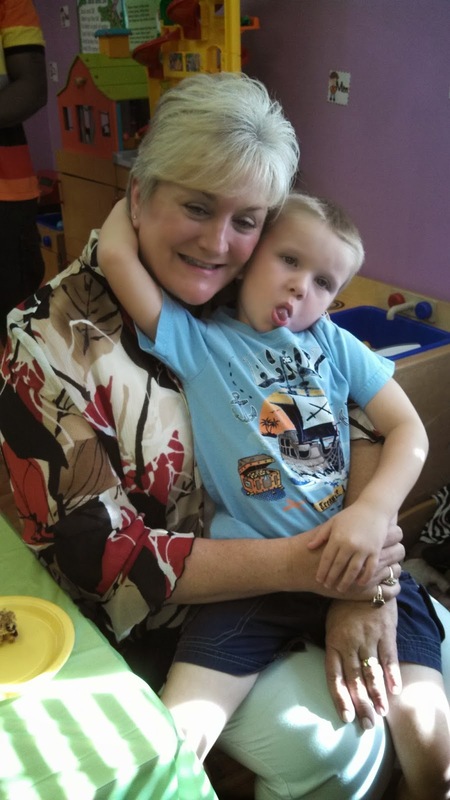 The children did so many fun activities this week! 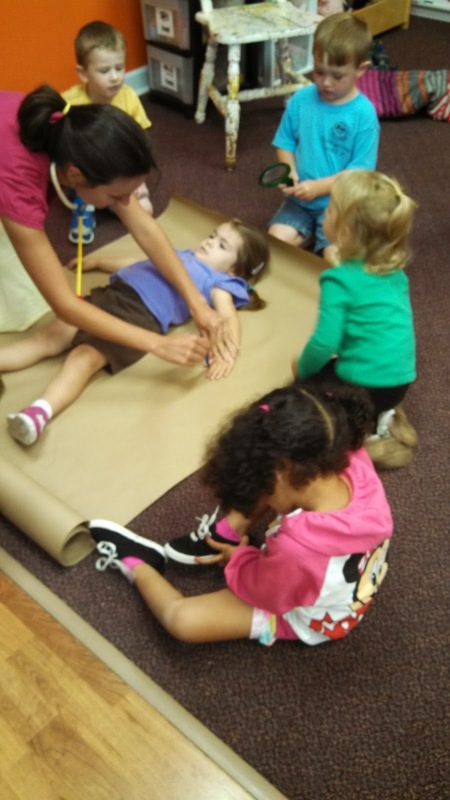 The 3 year olds outlined their bodies and then decorated them to make them look like themselves. 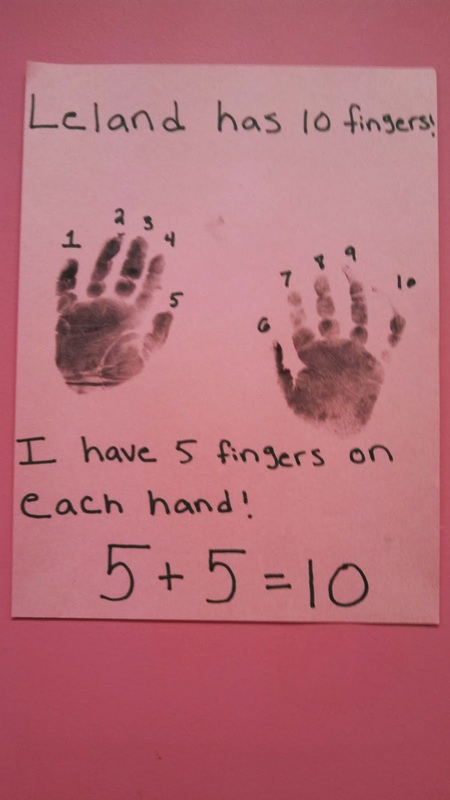 We counted our fingers and practiced some math as well! 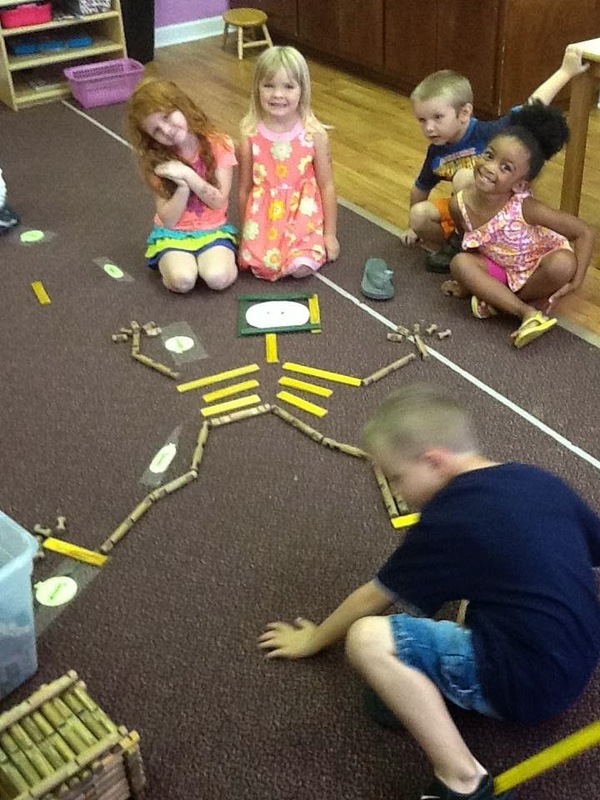 The Pre-K class used manipulatives in their classroom to make a fun skeleton! 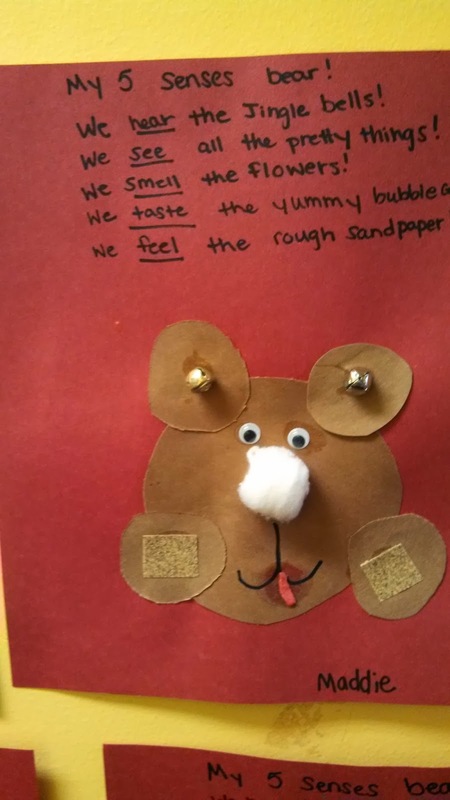 We also talked about our 5 senses by making a "5 senses bear"! For our cooking project this week, we focused on our color of the week, red! 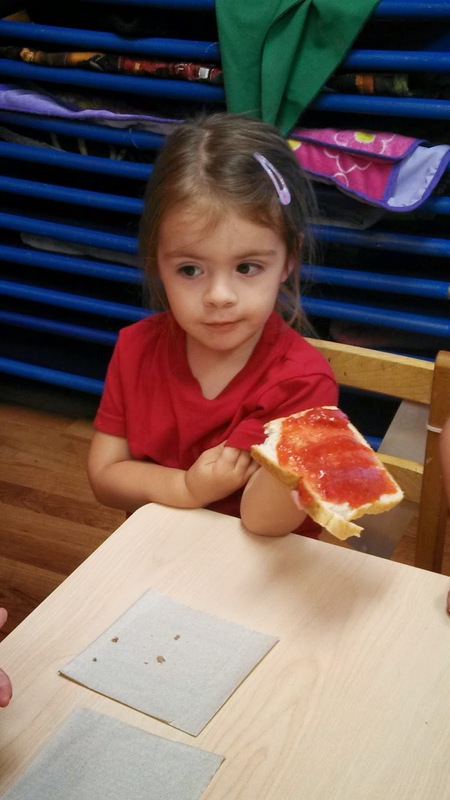 The children made their own strawberry jam to spread on bread! 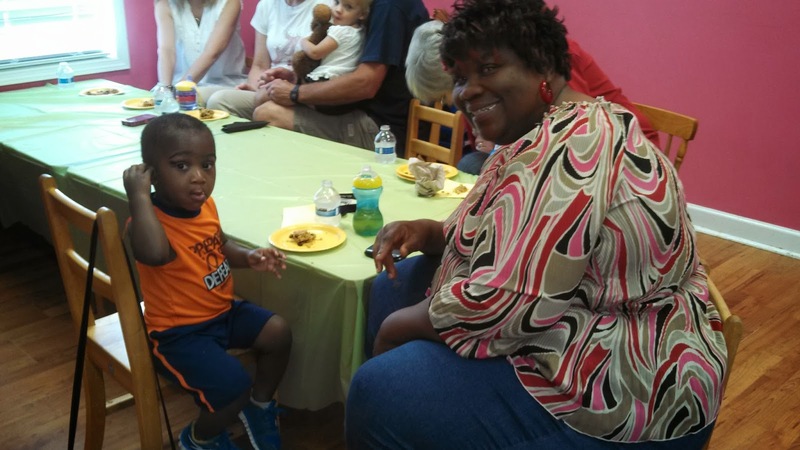 They did a great job and really enjoyed the tasty treat! 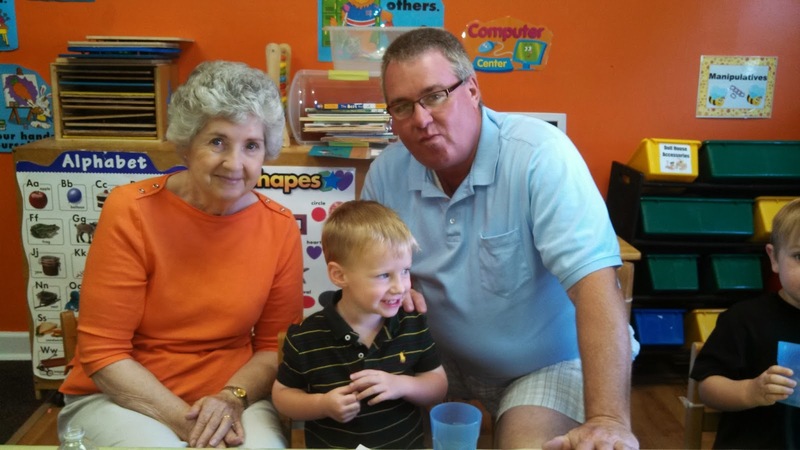 An important part about getting to know our new friends in our class is learning about their families. 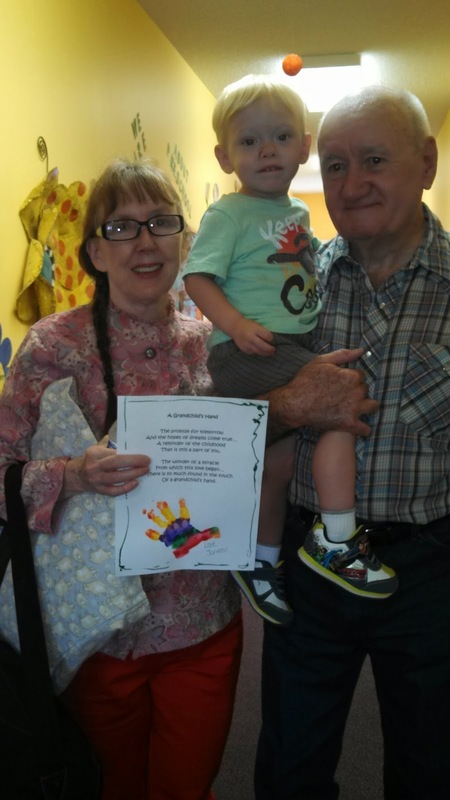 The children had several opportunities this week to share and brag on their family! 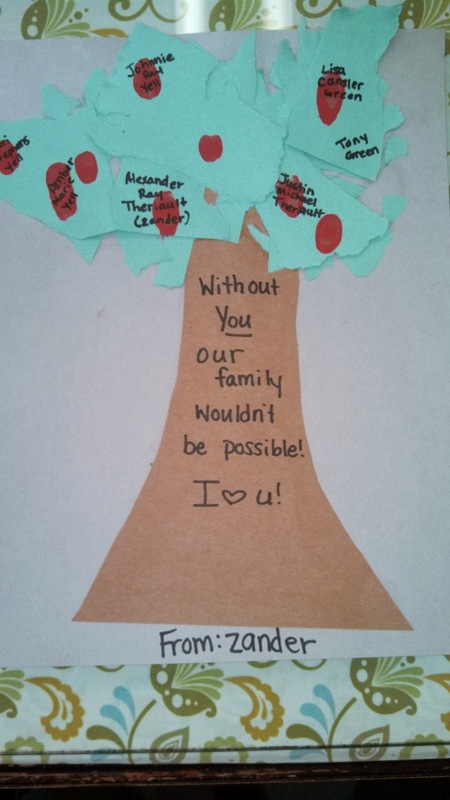 Some of the classrooms actually talked about their family tree and did an art project to go along with it. 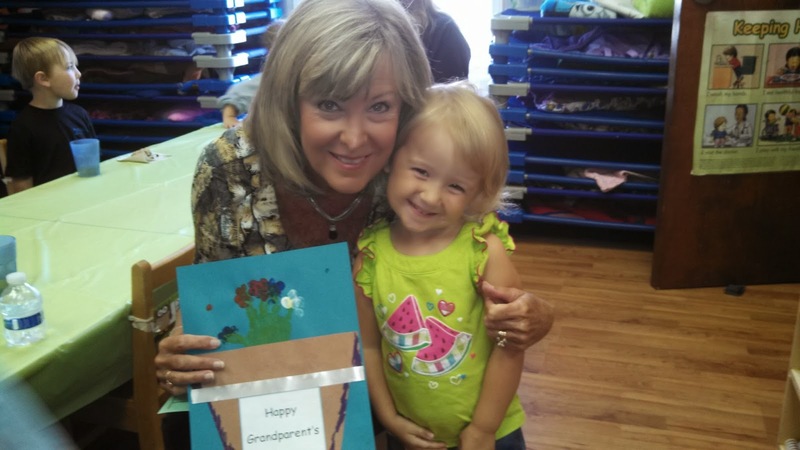 Our favorite part of this week is always honoring our Grandparents at the end of the week for Grandparent's Day! The children make a gift for them during the week to give to them on Friday. 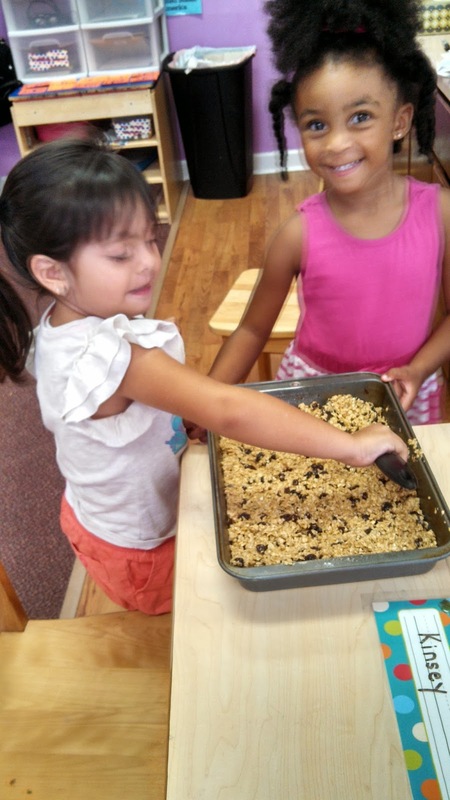 For our cooking project, the children make Granola Bars to share with their grandparents for "Granola Bars with Grandparents"! 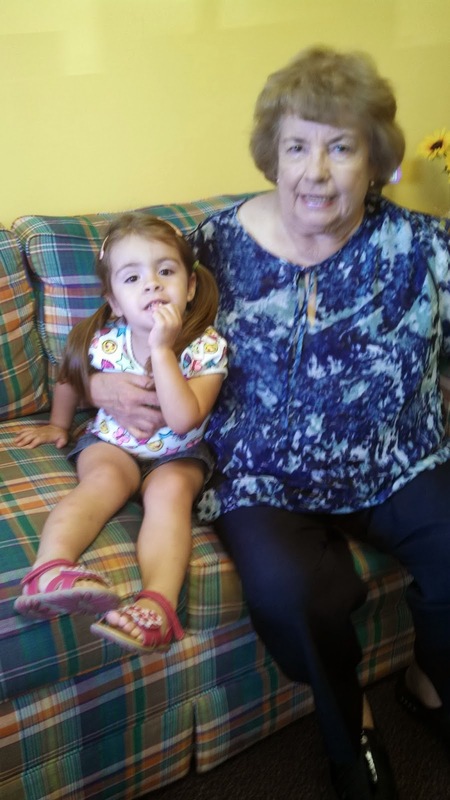 Take a look at the joy on the faces of these children with their Grandparents! 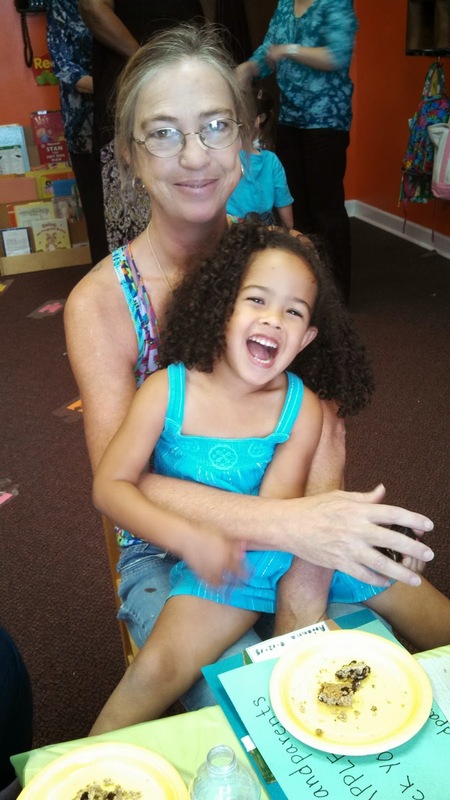 It's such a special a fun time for all of us! 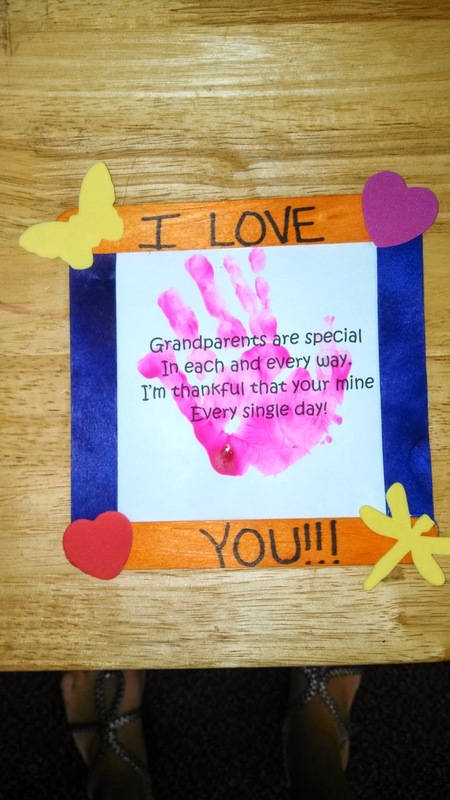 Happy Grandparent's Day to all of our special grandparents!!! Since we were closed for Labor Day on Monday, we spent the rest of the week talking about different jobs throughout our community. There are so many different jobs that all help to make our world a better place to live! 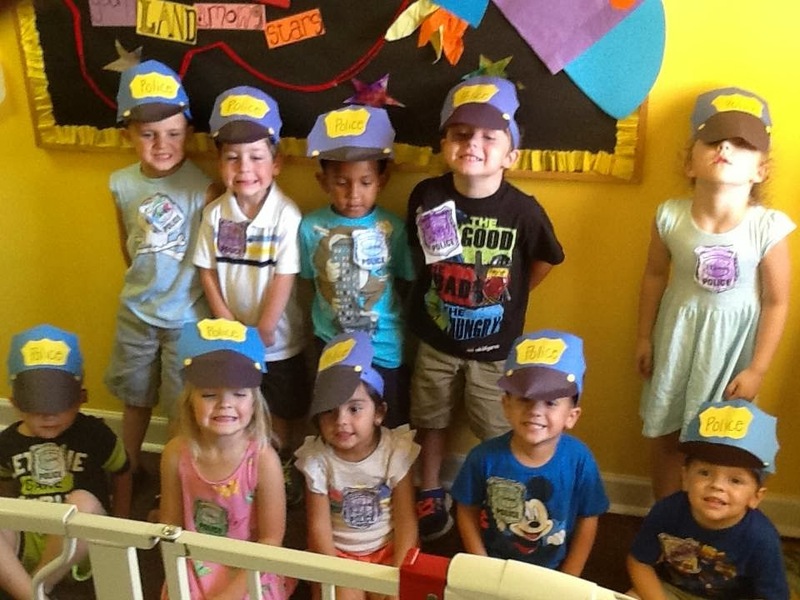 The Pre-K class made their own Police Hats and pretended to be Police Officers! We had fun with our Cooking Project this week by pretending to be Construction Workers and build our very own houses- Gingerbread houses that is! 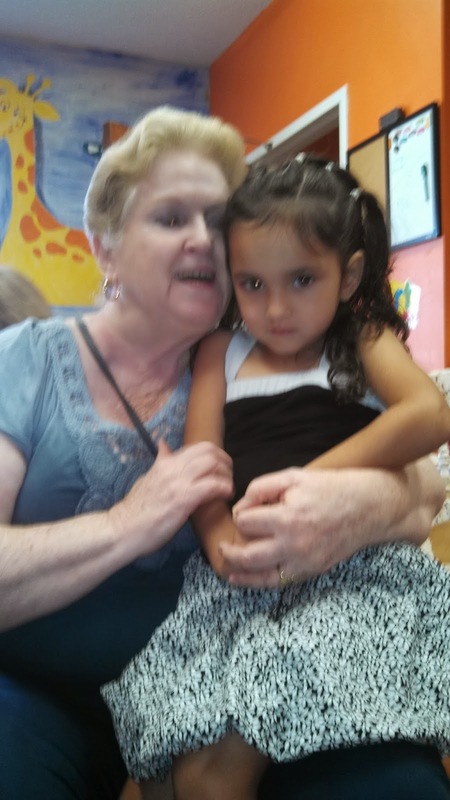 The children also enjoyed playing a game where clues were given and they had to guess which Community Helper was being described. 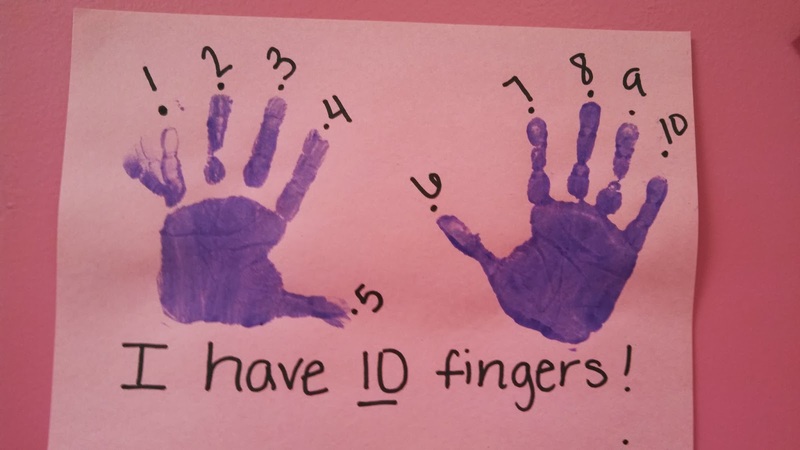 It was so cute to hear what the children wanted to be when they grow up! 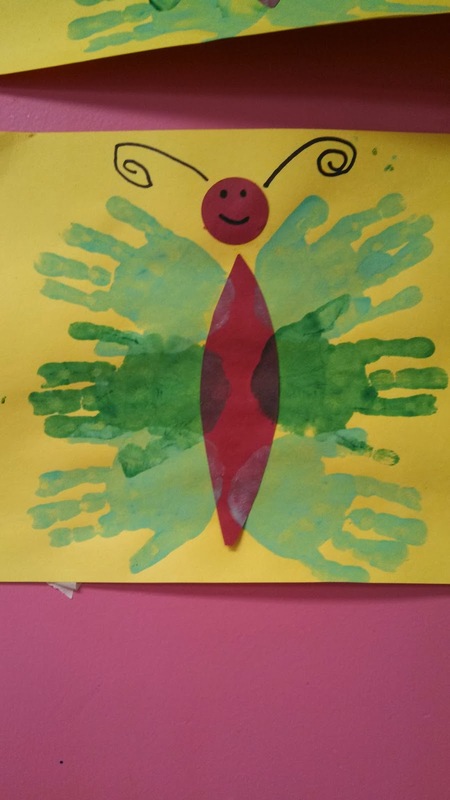 Our letter of the week is "C" so the children made adorable Caterpillars! 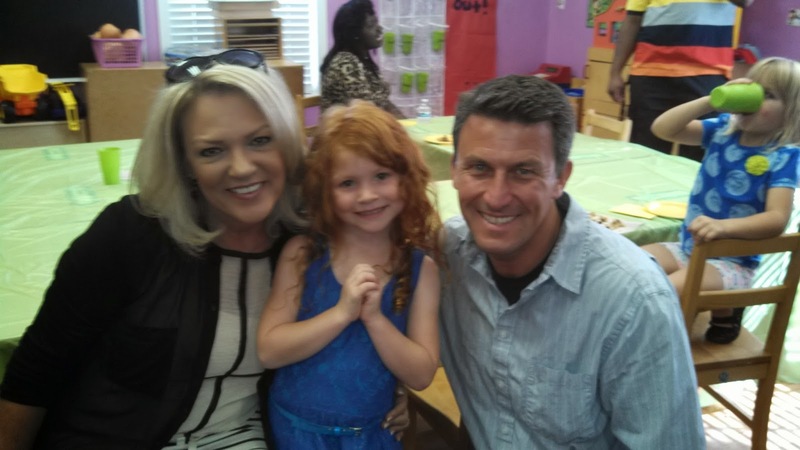 We hope you were able to enjoy the Labor Day holiday with family and friends! Whatever your occupation may be, we sure appreciate all that you do for our community!